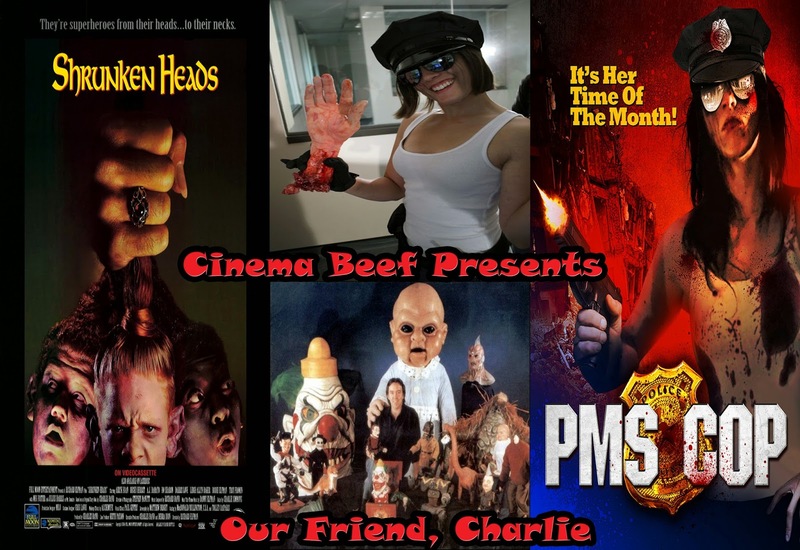 Cinema Beef Podcast: Our Friend, Charlie! Welcome to season 2 of Cinema Beef! We start it off with a bang! I am joined by Jesse B to revive our Full Moon Streaming segment. We cover Full Moon's Shrunken Heads and Wizard Film's PMS Cop! This also includes exclusive interviews with Charles Band and the filmmakers behind PMS Cop! Hopefully we'll have tons more goodies for you in the coming season! Like Cindy Means on Facebook! Like PMS Cop on Facebook! Subscribe to Full Moon Streaming! Check out more info about PMS Cop! Check out this show and a lot of other great shows on the League of Extraordinary Podcasts!